If you're wondering how Wombat Source came up with the title for GetClose: A Game for RIVALS, just imagine the proximity of two people who must hold opposite sides of a Wii U GamePad in order to control their respective characters on the TV screen. Not clear enough? What about two people on either side of a Wii U Pro Controller? Now you're getting it! GetClose is a delightful indie confection that might cramp your hands and your style (as you're forced practically into the lap of the person next to you), but it will almost certainly charm you and make you laugh with its wonderful minimalist design and easy-to-understand gameplay. This is the sort of game that, with a few tweaks, Nintendo itself could have developed to help continue its pick-up-and-play philosophy from the Wii and DS days into this generation: it's that simple and effective. It's pertinent in this case to start with the art design; GetClose's minimalist presentation is likely to fascinate players right from its first second onscreen. It's easily one of the game's best assets, believably crafting a strange and intriguing world with simple elements. Most striking is the way the characters and objects — limited to a palette of black and white — stand out against the warm pink backgrounds, creating a visual style most easily described as "silhouettes against a sunset." This is all complemented nicely by the sounds and music that accompany your play, from the cheerful electronic bleeps of the soundtrack to the adorable "wah-wah-wah" that increases in pitch as your character successfully fills a meter. This type of artistic ingenuity, especially on an indie budget, is extremely welcome among the tidal wave of tired clones currently plaguing the eShop. While stylistic simplicity is certainly a point in the game's favour, it unfortunately squanders most of this aesthetic potential once things get moving. This is mostly due to the animation, or lack thereof; since all the characters are built around a basic circle shape, the most animation you're going to see onscreen is a simple rotation as you change their direction. On top of that, this style just isn't well-suited to GetClose's inherently rapid tempo. The simple details that make certain objects distinguishable from each other — characters' faces, the icons on powerups, and even backdrop objects — are blended together into an indiscernible grey mélange when playing at these speeds. That's purely an aesthetic issue, however, as the chaos afforded by the gameplay speed seems to meet the developers' expectations quite effectively in practice — that is, if those expectations are the potential for lots of smiles and astonished laughter. 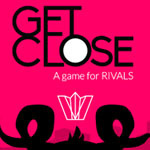 GetClose is best described as lightning-fast capture the flag for 2 or 4 players (sorry third wheels, you'll have to sit this one out again). 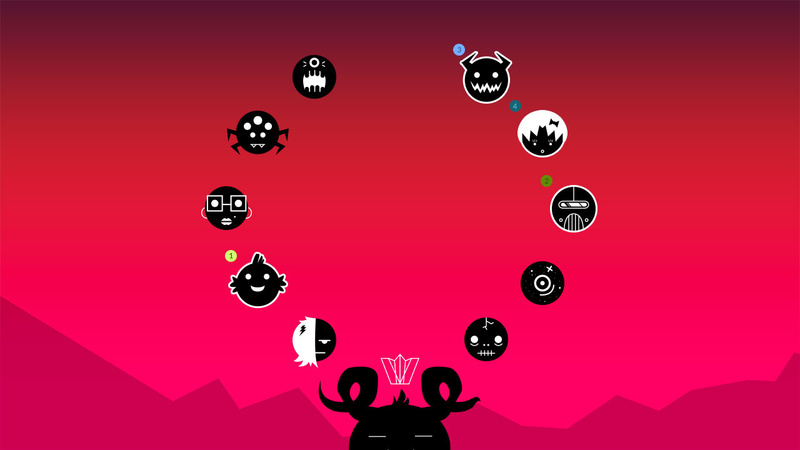 The included modes, Capture the Crown and King of the Crown, offer two slightly different takes on the same chaotic concept: get the crown and run with it. Capture the Crown has players attempting to take the titular royal hat from the centre of the arena back to their bases in the corners, while King of the Crown is a free-for-all where the player who's held the crown the longest after time expires is awarded the win. Both of these modes are great fun and do an excellent job at highlighting the best part of GetClose: the simplicity. This is the type of game that anyone, especially anyone in a silly mood, can enjoy. 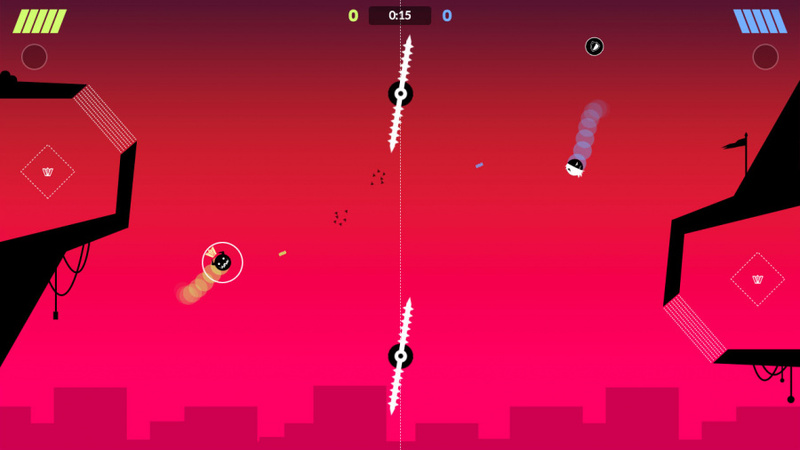 The controls are amazingly simple — in the case of two-player games, each player will hold a side of the GamePad and use their analogue stick and ZL/ZR trigger to move and fire auto-aiming projectiles, respectively. If you want to add a third and fourth player, you'll need a Wii U Pro Controller to split between that second pair. Because the game is so intuitive, and so inherently silly (try not to smile or laugh the first time you find out how slippery your little character is), it's easy to get playing in seconds with even the most uninitiated non-gamer in your household. It's also a blast to pick up and play, as the customizable rule sets for each mode let you easily set how long you'd like each match to last. It's the kind of refreshingly simple experience Nintendo might have created when it was trying to charm soccer moms back in the heyday of Wii and DS — and trust us when we say that's a compliment in this case. 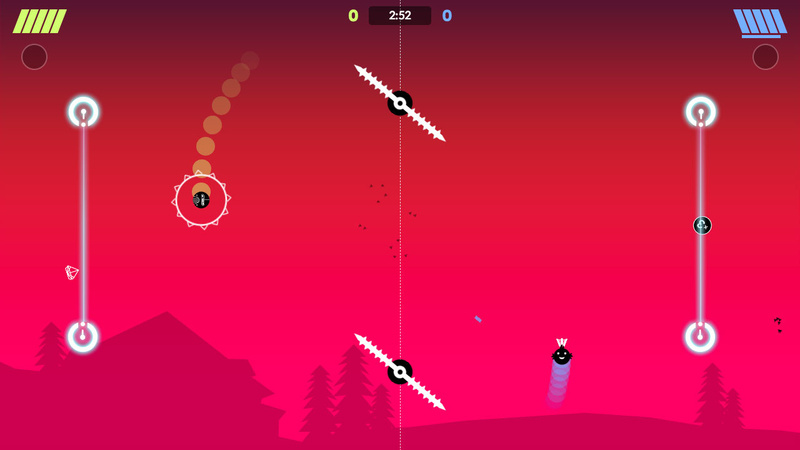 GetClose is a ray of indie sunshine that displays remarkable ingenuity in both its aesthetic appearance and its simple gameplay. Its art style may lose a little bit of its lustre due to the blender-like speeds at which you're forced to battle, but that will soon be forgiven (and forgotten) thanks to an intuitive concept and ingenious no-frills use of the Wii U GamePad and Pro Controller. This is one game even your grandmother can play... that maybe you'll want to play, too. That does sound neat - a European release? Sounds fun. So did Spin the Bottle but we only played that once. Will have to watch a vid later. Sounds a bit like Rotastic on PS3 though obviously much simpler. I hope Wii U starts getting more games like that and Slam Bolt Scrappers, and Awesomenauts, better games to keep up w/ all these basic web browser looking ones. I know there are a few like Shovel Knight and Stick it to the man but seems like way more Flappy Bird clones. Edit - watched the vid w/ my son, too much meh for $4.99. Ill get Armillo for $3.99 and we'll keep plaing Kung Foot in Rayman Legends. @rjejr Armillo is pretty awesome for $3.99.....my boys love it and it is more then challenging for my gaming skills. This is why Nintendo are so open to indies. Despite the odd Tested By Robots and Spikey Walls this policy is bound to attract unique experiences such as this. @rjejr Kung Foot is my favourite 'sports'-game ever. Incredible, given it's just an afterthought. @Gerbwmu - We don't do challenging, we're all about fun, which is 1 reason we don't have it yet. That's and it's so ugly. like Wiiware ugly. Makes me wonder if it started life as a Wiiware game? Oh and it's single player, I try to buy only offline mutplayer games. Captain Toad is an exception to that rule. @Shambo - Yeah, it's really fun for such a nothing game tossed into a really good overall game. My older son and I take on my younger son - 2 vs 1 - but we still can't beat him, he's the action platformer in the family. This makes it hard to pay $5 for a stand alone like this. Castle Crashers also had a similar pretty good volleyball minigame. And we have Mario Sports Mix which goes a lot deeper in depth but that dodgeball game is good. This sounds really awesome, and is refreshing to see a cool concept done right from an indie developer. Will be buying this as soon as I get out of work today! Could be another Wii U indie multiplayer surprise partyhit like TNT Racers, Spin the Bottle, Chasing Aurora and Sportsball. @rjejr Ah yes Castle Crashers also great game overall. I love co-op with some versus aspects, like the fights over the princess. Or Four Swords Adventures, Mario 3d world (those crowns... Every time I played it co-op, we ended up 'fighting' over the crown and failing halfway a level, because it turned into a smash fest! @SKTTR yup and there are good ones coming like Starwhal. Exactly what I was thinking. Quality control would probably dictate this game as too simple, but thanks to Nintendo's open door policy and NWF, solid games can just come out of nowhere. So I called my local Target, and there's no way to preorder the Rosalina amiibo. Sorry, too simplistic in both the graphics and gameplay for my tastes. I'll pass. Despite the gimmick, I'd really appreciate being able to use a controller for each player. In most situations it's just not practical to "get close" enough to play. I'm a little offended that the developers adhered to their contrived gimmick rather than offer the most accessible, comfortable experience for the players. I'd seriously like to break this out at parties, but it's not worth the trouble to force everyone to shuffle around. It's a plain unappealing proposition. Cool game otherwise, but I would not recommend it to most due to this one massive restriction.